Are you a writer? Do you have grant writing experience? Then you need us and we need you! Join our team of grant writers and expand your resume. Work for an international, reputable, and reliable name in grants. GrantWriterTeam.com matches grant seekers with grant writers every day. What do grant writers at GrantWriterTeam.com do? But most importantly, you will be writing. And you won’t just be writing, you will be writing for great causes. You will play an integral part in gaining funds for various noble purposes. It’s hard to specify what you will be writing about because there are over 50 grant categories located at GrantWatch.com, an affiliated site where many of your assignments may come from. For example, you may write a grant proposal for a grant on aging seniors, arts and culture, or something else! 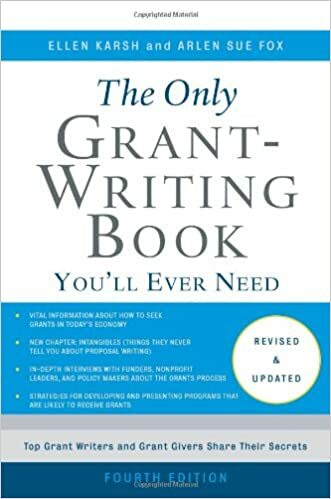 For some pointers on grant-writing, check out this book titled: The Only Grant-Writing Book You’ll Ever Need by Ellen Karsh and Arlen Sue Fox. You will find a step-by-step guide to grant proposal development. It also includes hands-on exercises, a glossary, and more! To apply to become a grant writer, simply go to GrantWriterTeam.com and click on “I am a Grant Writer.” Fill out your contact information, areas of expertise, awarded grants, resume, and references. Remember to put some thought into your application and only use relevant information. Then, submit your profile. As a grant writer, you will be earning $40 or more per hour and receiving a flat fee for requests with multiple projects. As a grant writer, you will follow a list of deliverables and a timeline for those deliverables. Often, you will be paid accordingly. The deliverables could include a retainer or a working draft, among other things. The important thing is to get your client the completed deliverables on time. Although it may be challenging work, it is rewarding. Start helping nonprofits, and make a name for yourself in the grant world. Join GrantWriterTeam.com today! Are you interested in Science, Technology, Engineering, and Mathematics or STEM? Maybe your business can benefit from technology. Did you know you could get an advancement in technology for your business funded by the federal government? The Small Business Innovation Research or SBIR program encourages small businesses in America to get involved with Federal Research or Research and Development (R/R&D). Specifically, for research and development with the possibility of commercialization. And, if you need a grant written for a STEM-related project, consult our team of grant writing specialists at GrantWriterTeam.com. It's really easy to use! Is the SBIR Grant Right For My Business? A grant funded by SBIR allows your business to research methods of technological advancement, or apply to a company-wide technological update. It may also include research or research and development in another way. Maybe you are a nonprofit clinic looking to update your equipment. Or maybe you want to switch to electronic records. An SBIR grant maybe right for you. To learn more about the types of projects the SBIR funds, check out SBIR.gov under “Awards” in the menu. The SBIR has four goals: 1) Stimulate technological innovation, 2) Meet Federal research and development needs, 3) Foster and encourage participation in innovation and entrepreneurship by socially and economically disadvantaged persons, and 4) Increase private-sector commercialization of innovations derived from Federal research and development funding. How Do I Apply for an SBIR grant? 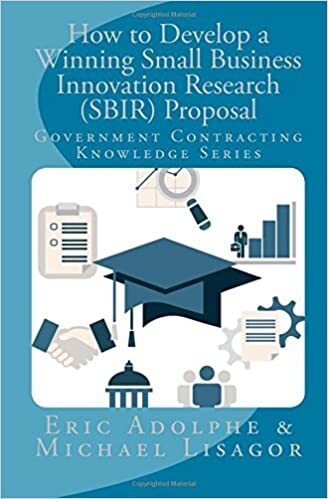 For additional information on applying to an SBIR grant, check out this book titled How to Develop a Winning Small Business Innovation Research (SBIR) Proposal: Government Contracting Knowledge Series by Eric Adolphe. The STTR or Small Business Technology Transfer program is another federally funded program. The difference is the STTR requires the small business to collaborate with a Phase I or Phase II level research institution. Search through MWBEzone.com and GrantWatch.com for STEM related grants. You might find something that applies to you. Good search terms maybe in the list located to the right of the screen like Health and Medical, Science, or Technology. Or, simply type “STEM” in the advanced search at GrantWatch.com. Furthermore, for news on grants and tips on grant writing, visit GrantNews.press. Find More Grants Like These! All these, plus thousands more, may be found on GrantWatch.com. Fund your organization's next project with a vast number of grants and sponsors to choose from and engage. You may also want to consider synergizing your efforts by crowdfunding. Crowdfunding will allow money to be funnelled to your project by multiple sources. To learn about how to crowdfund, visit Uhelpfund. There are 100 categories from which to choose. Find out how you can get the financial support your organization needs to fund its mission at GrantWatch.com, or call our team of grant specialists at 561-249-4129.